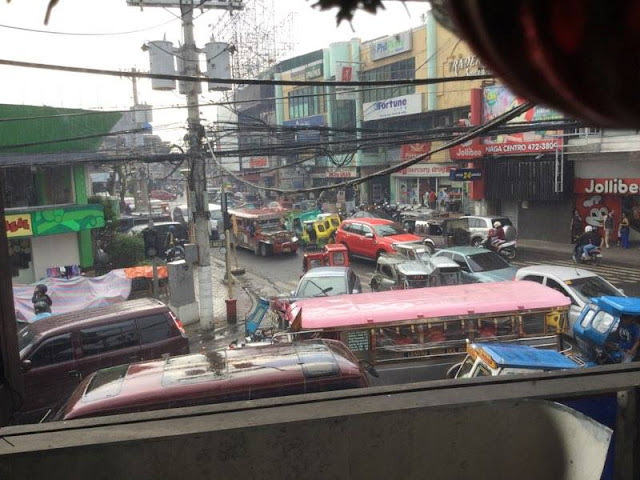 As Naga City continues to reel from the wrath of Typhoon Nina, traffic has piled up around the city's commercial center. 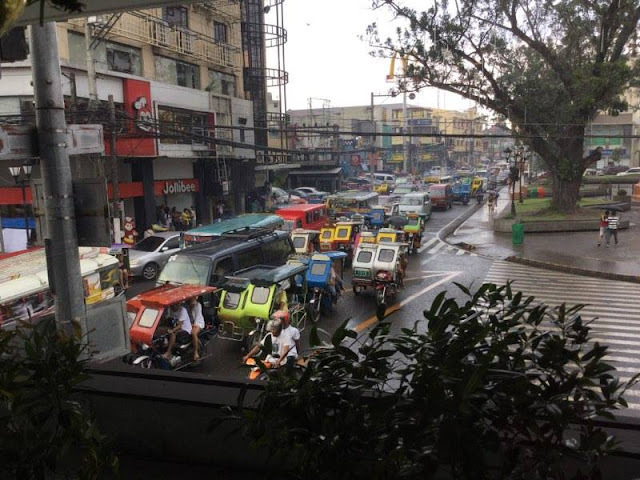 The traffic is caused by the heaps of debris from the aforementioned typhoon, the holiday rush, the lack of traffic enforcers. Residents here have noted that even the members of the Public Safety Office are not in their normal posts, possibly aggravating the traffic problem. As of 3 p.m., it has started to rain again in this city. Local electric cooperative Casureco II announced this morning that the latest that they can restore the power supply for Feeder 2 is probably tomorrow. This means that the Central Business District I ("centro") will likely be energized.